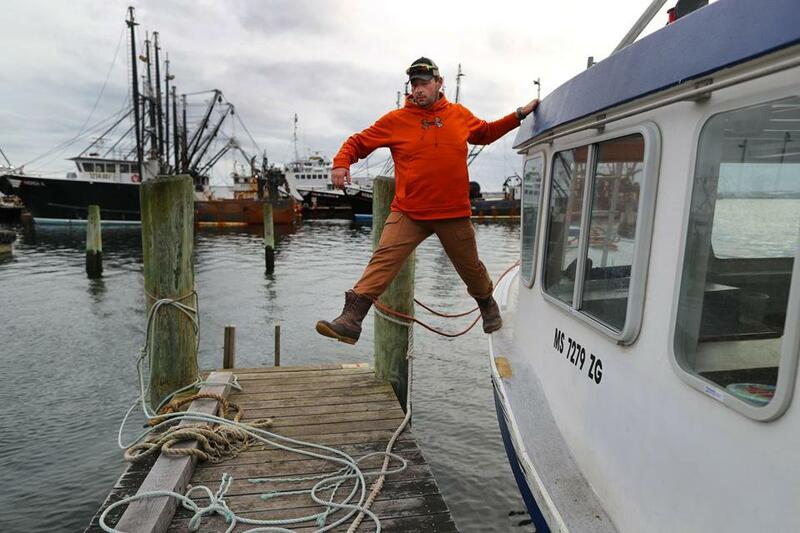 Lobsterman Tom Tomkiewicz, on his boat at Union Wharf in Fairhaven, said he is trapping in deeper, colder waters. FAIRHAVEN — Tom Tomkiewicz remembers when there were so many lobster traps in Buzzards Bay it looked as if he could walk across the water on their buoys. “There’s no guarantee that we can turn this around, because of environmental conditions,” she added. While hundreds of lobstermen have left the business over the past decade, those remaining have been allowed to set significantly more traps — as many as 800 per permit — and they continue to haul up millions of pounds of lobster a year. As early as 2010, Reardon’s colleagues on the technical committee had urged the commission’s lobster management board to consider a moratorium on setting traps throughout the region. When that idea was rejected, they began pushing for more modest conservation measures. Most were set aside. In August, the management board agreed to vote on a plan to boost lobster egg production by 5 percent. But even that proposal, which increased the size of lobster allowed to be caught or cut the number of traps, was rejected. “It’s really frustrating,” Reardon said. The chance of reviving the fishery by any means has worsened as the region’s waters continue to warm. Gauges from Long Island Sound to Cape Cod have shown more days when the region’s waters have been inhospitable to lobster, which thrive in temperatures between 53 and 64 degrees. One station in eastern Long Island Sound, for example, recorded nearly 100 days in 2012 when the readings exceeded 68 degrees — dangerously warm for lobster. In the commission’s most recent assessment of lobster, scientists called the region’s stock “in need of protection,” and noted that the warming waters have jeopardized lobsters’ ability to reproduce, damaged their immune systems, and made them more vulnerable to shell disease. But industry officials insist that lobstermen have already faced enough hardship, and they have lobbied against further trap reductions and closures. The number of traps has already fallen significantly across the region. In 1998, at the peak of the fishery, there were more than 588,000 traps in the waters from New York to Massachusetts; in 2013, there were fewer than 152,000, according to the latest regionwide data. Massachusetts sits in the crosscurrents of the region’s changing marine environment. While the warming conditions south of Cape Cod have been harmful for lobster, the clawed crustaceans have thrived as the colder waters of the Gulf of Maine have also warmed to a temperature that seems a sweet spot for lobsters to thrive. Maine landed a record 132 million pounds of lobster last year — double the 2000 catch and seven times the amount in 1950. Landings in Massachusetts, while down in Buzzards Bay, have increased in fishing communities to the north, allowing the state’s overall lobster catch to hold relatively steady. Last year, the state’s fishermen landed nearly 18 million pounds of lobster, slightly more than they caught in a typical year during the 1990s. That may not be true for long. Manning noted that the region’s waters this year have ranked among the warmest ever recorded, and that temperatures are predicted to rise significantly more in the coming years as oceans absorb more carbon dioxide. Tomkiewcz is one of fewer than two dozen lobstermen left in the fishing region that stretches from Nantucket Sound to Long Island Sound. But regulators insist they haven’t given up. “There may be no silver bullet that’s going to change things, but the door is still open for action,” said Peter Burns, a NOAA official on the lobster management board. 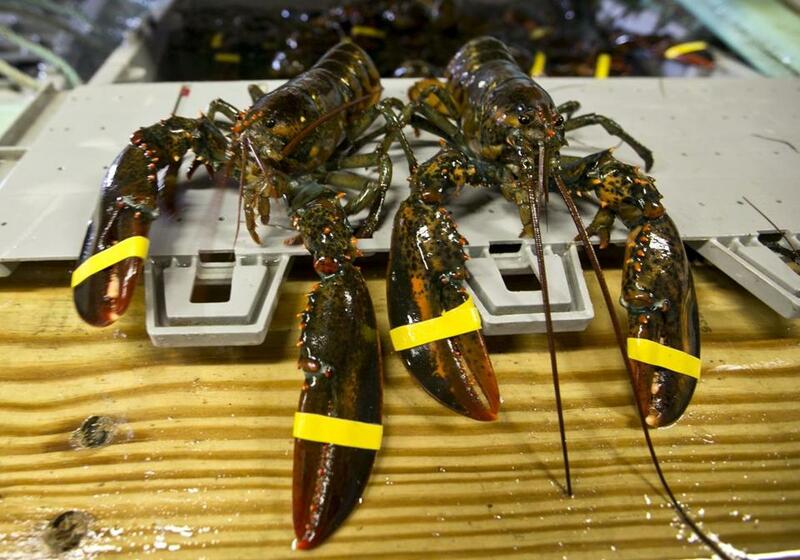 Doug Grout, who until recently served as the commission’s chairman, has called on the board to increase the minimum size of lobster that can be caught and require more egg-bearing female lobsters to be marked with a V-notch on their tails. Those females are then thrown back in the water, and the triangular cut lets other lobstermen know not to harvest them. “We need to take action, and we need to do that now,” he said. For many longtime lobstermen, however, it’s already too late. Nick Crismale, 67, who hauled traps for 42 years out of Branford, Conn., quit two years ago. “There just wasn’t enough resource left to make a living,” he said. Others, like Tomkiewicz, continue on. He now often sets his traps more than 50 miles off the coast, in deeper, cooler waters where the remaining lobsters have migrated. To keep fishing, he had to buy a bigger boat and sets twice as many traps as he used to. Still, his hauls have declined sharply. In the 1990s, many of his traps would bring in 50 lobsters. Now, if he’s lucky, they might have 15. Instead of closing areas to fishing or reducing the number of traps, officials should allow fishermen to target more predators of baby lobster, such as black sea bass, which have been moving further north as waters have warmed, Tomkiewicz said. 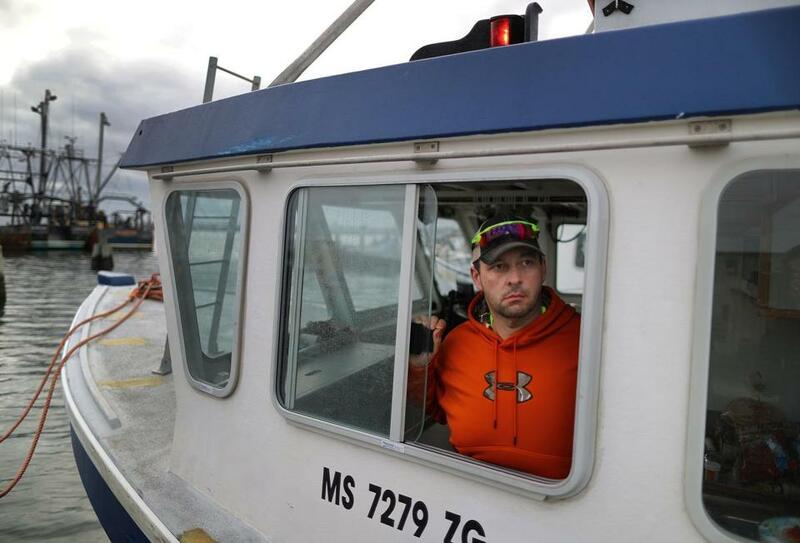 More than anything, given the fishery’s dire state, the third-generation lobsterman wants the government to leave him alone. “At this point, I don’t think there’s anything else we can do to save the lobsters,” he said.